Daily tasks become less special each time someone does them in succession. Doing something once a week can even become “normal” (perhaps Sunday Church?). It’s hard to believe that something we practice annually can become neglected. But it happens. Thanksgiving is one of those days. We get so busy at our church jobs, gearing up for Christmas programs and services, that Thanksgiving becomes merely a gap in our schedule. A day off. It needs to be more than that. It’s a special day. 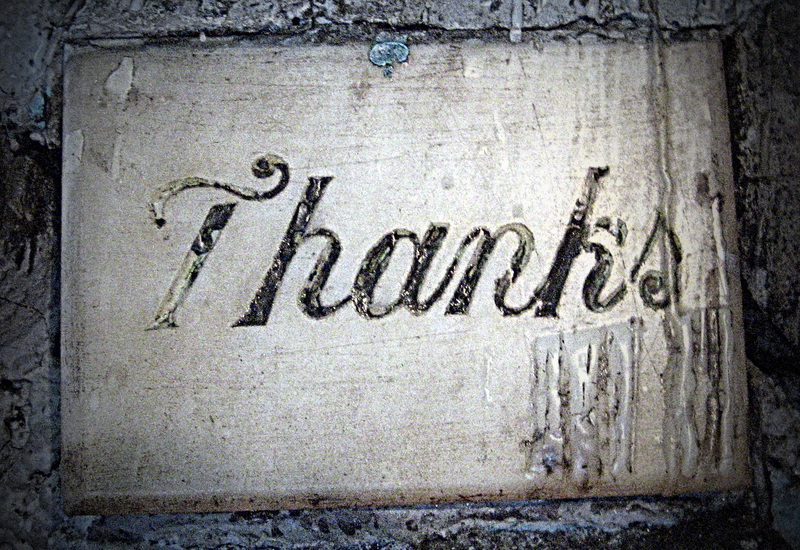 When we voice thankfulness it humbles us as we realize we’re not doing everything alone. In order to make the day special, sometimes it requires us to do something totally different. Different than other days of the year. Different from other Thanksgivings in the past. Quiet Time. If you’re anything like me, your “regular” quiet time is far from regular. What better day to spend a few minutes of quality time talking to God and thanking Him for His faithfulness. He knows you the best, so thank Him for making you and paving the road you’re on. Email, Call, or Text a Co-worker. While reading that someone came to mind who you haven’t adequately thanked. Contact them: Be specific. Talk about why it’s so important for them to work with you. Don’t ask for anything or expect anything in return. Don’t be overly emotional; but be heart-felt. Thank the Cook. Calling it Turkey Day sums up what most people think about (plus football). Someone dedicated extra time to prepare or serve the food you’ll eat. Most of them have the gift of service. Want to make their day surprising and rewarding? Pull them aside and thank them for all the things you noticed — and for the extra time that went into the planning. Then offer to wash the dishes. Let’s make this day special. As though you’ve never celebrated it before. On behalf of our BeKnownForSomething Church Communications Team, thank you. For your ministry in your church, for juggling family and work, for your wonderful attention to communicating effectively for the cause of Christ. Thank you.